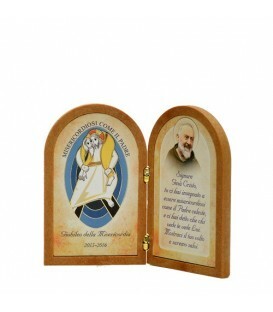 Picture of painted MDF for immersion and ennobled. 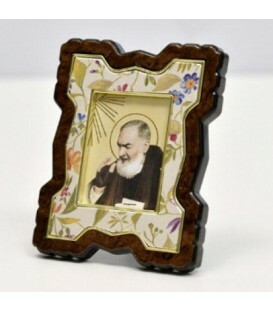 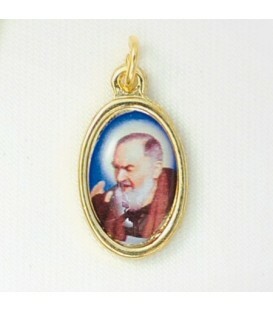 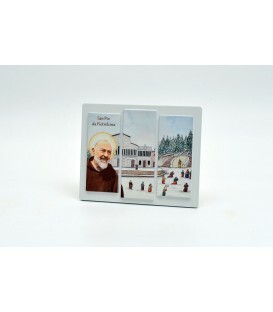 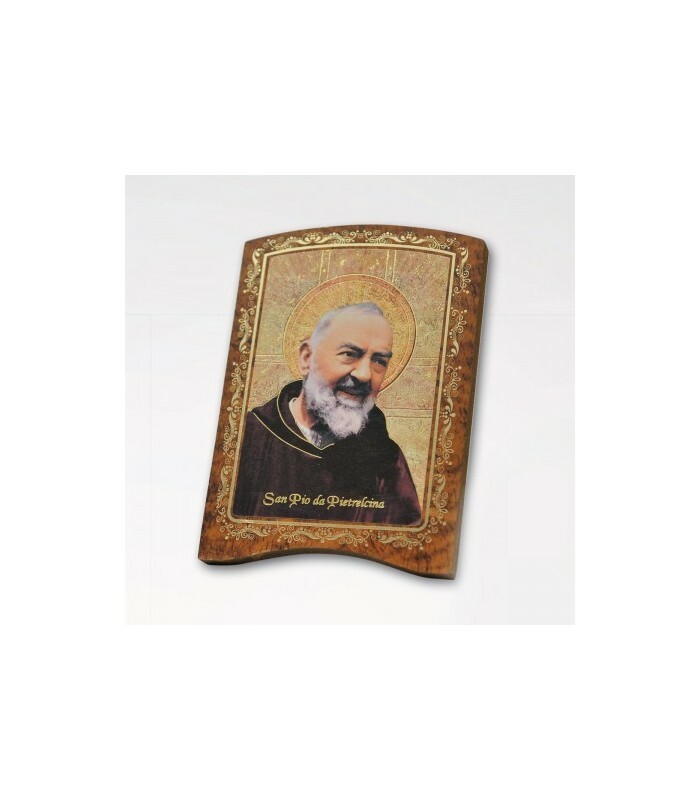 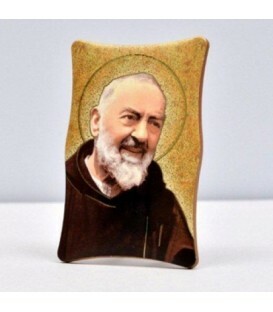 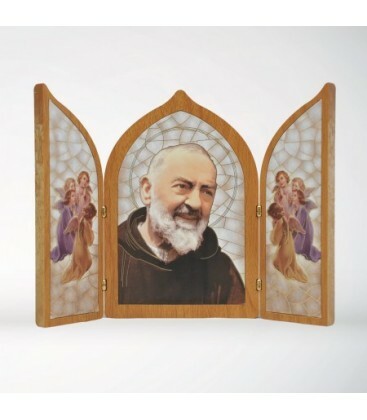 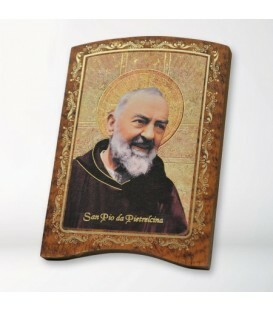 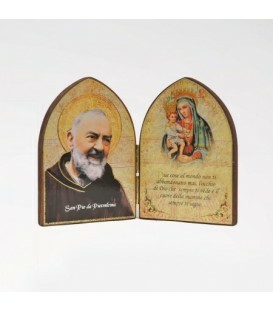 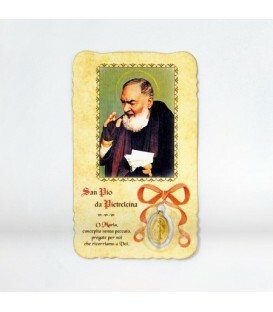 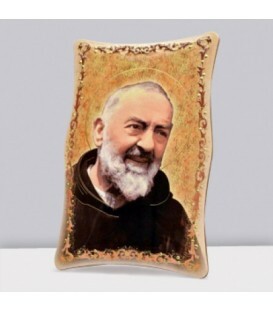 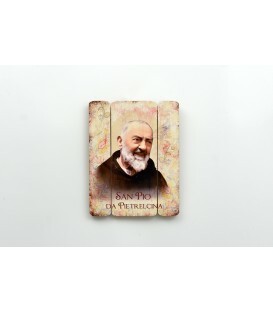 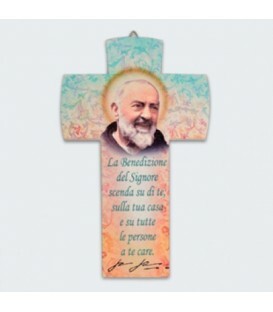 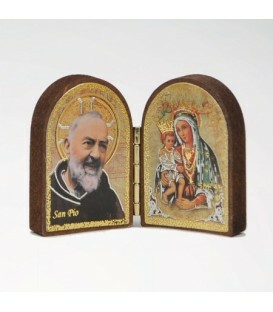 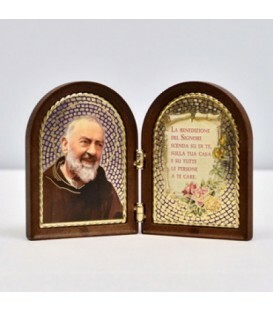 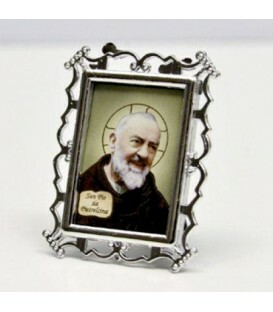 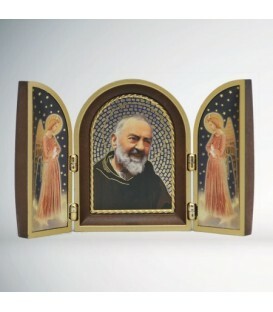 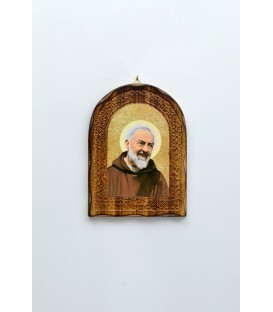 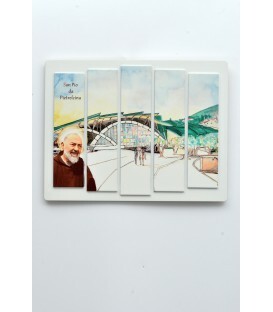 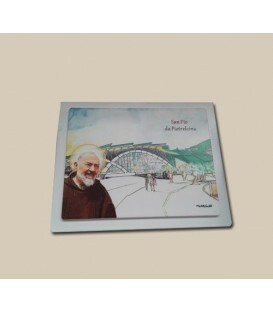 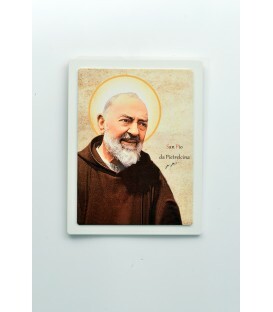 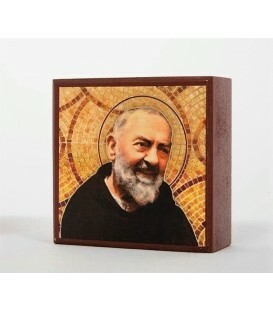 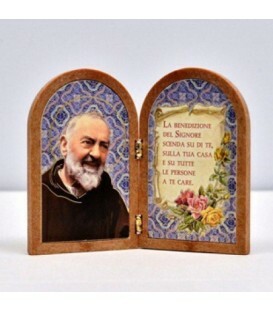 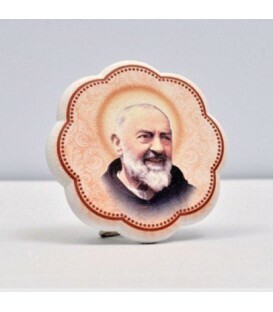 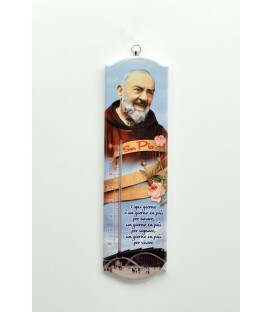 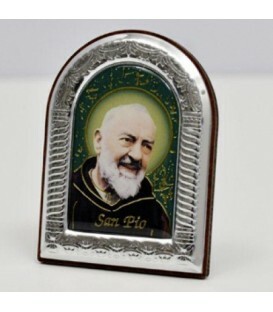 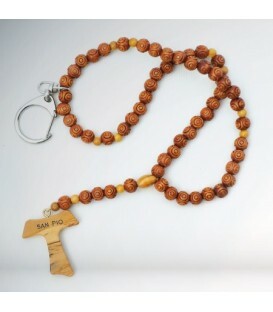 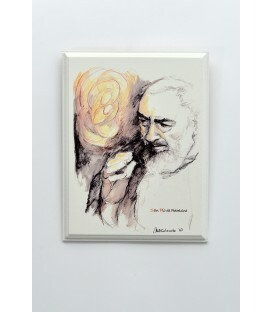 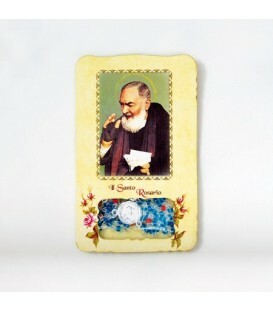 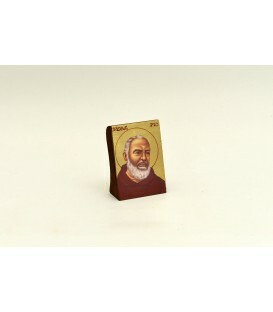 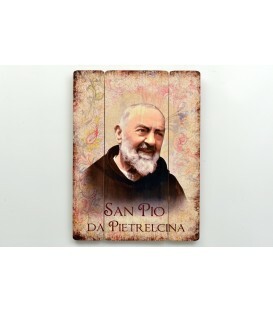 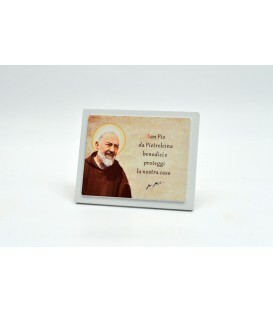 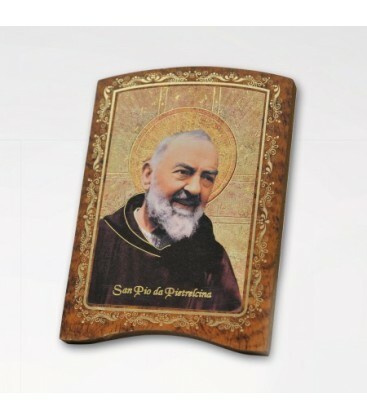 Process-color printing and hot gilding the image depicting Padre Pio. 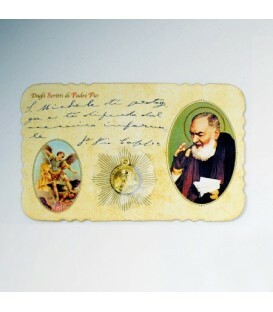 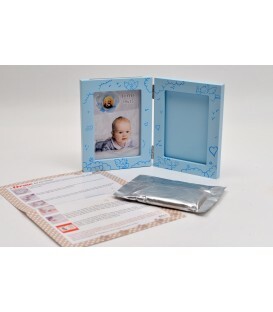 Application on back of plastic support for support.